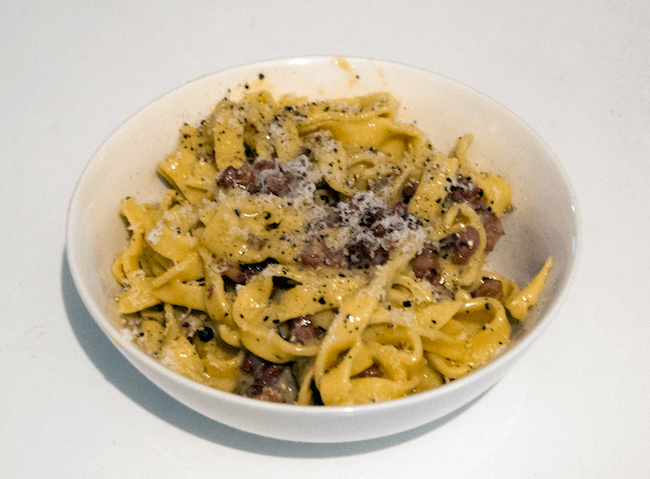 This Carbonara pasta recipe shared by an Imgur user caught our attention. It’s easy to follow and well pictured, and what is the most important, of course, it’s pretty much easy to make too. 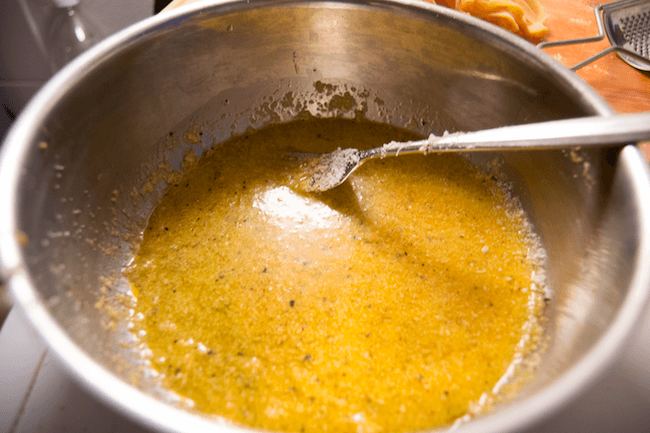 We love sharing recipe posts because we know the struggle of thinking about what to make for lunch and scrolling through your phone searching for something to make, so everytime we share something like this, we know we helped someone out. Go through this gallery to see the final result and I bet you’ll want to make it yourself. 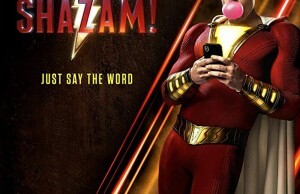 Don’t forget to share and save! 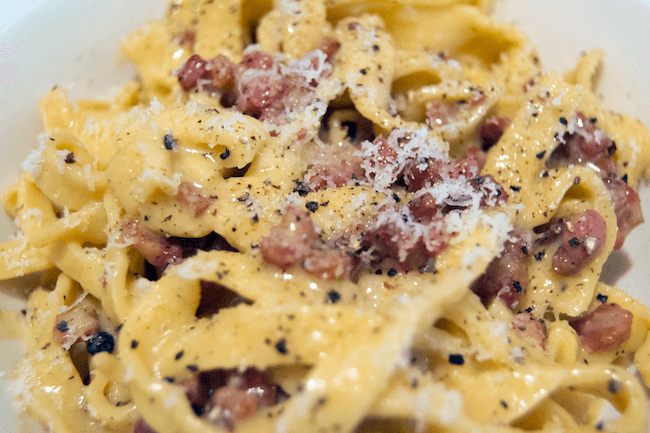 So, to make this easy carbonara pasta you’ll need flour and eggs, pasta essentials, of course. 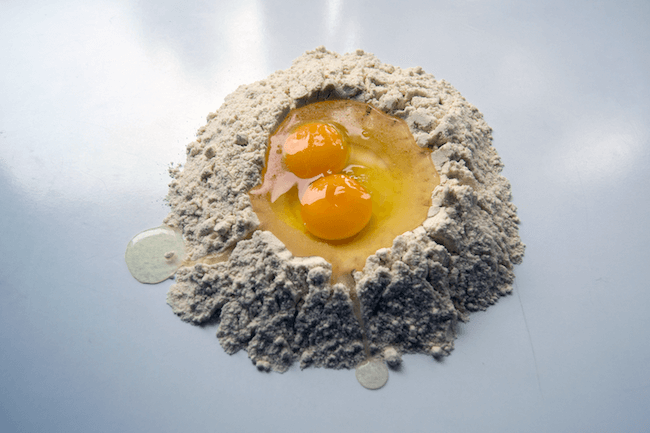 If you never made pasta dough before, the best way to do so is to make a mountain from the flour and pour the eggs in the middle, letting them sink in slowly and folding them inside the flour, instead of just mixing it all in a bowl. 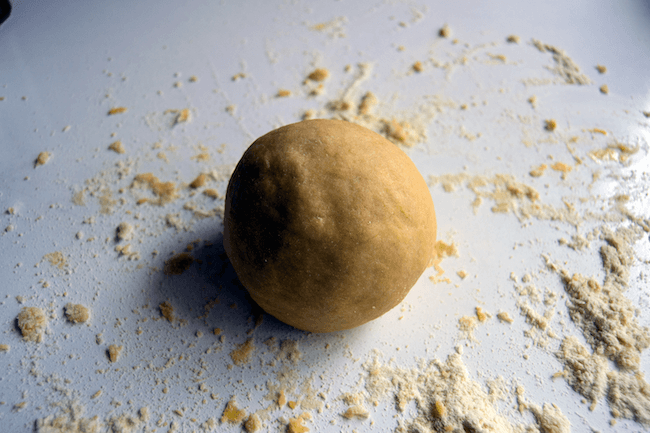 Make a ball and let it cool in a fridge for about thirty minutes. Now spread the mass over the table and then roll it. 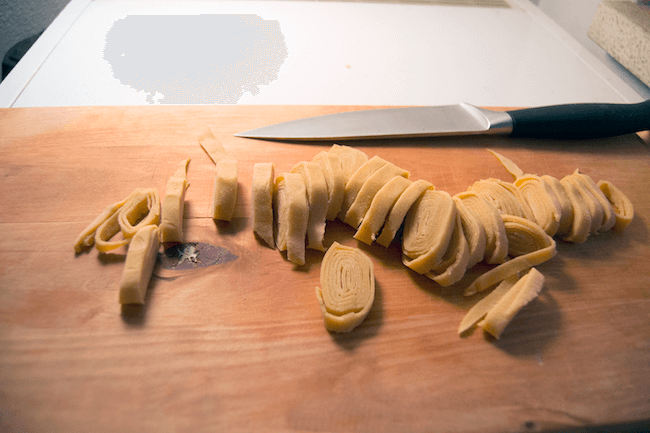 This little trick will help you create long pasta noodles without having to cut them individually. 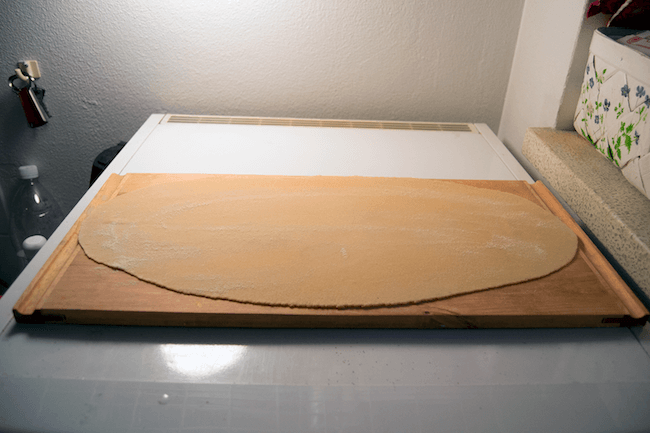 Now you should cut the rolled mass as you see pictured. 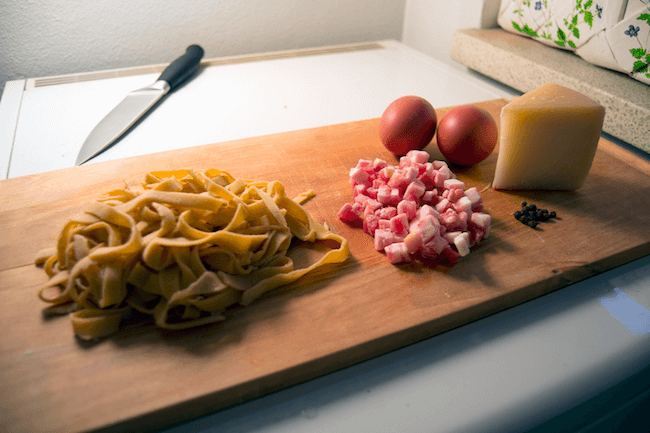 And there you go… fresh homemade tagliatelle! 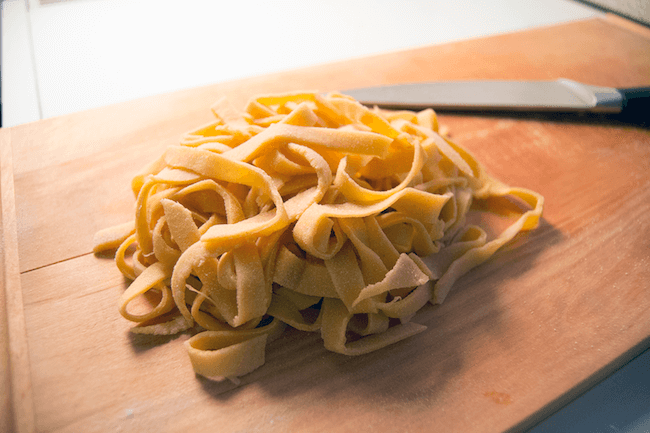 My favorite type of pasta is Tagliatelle or Fettuccine. 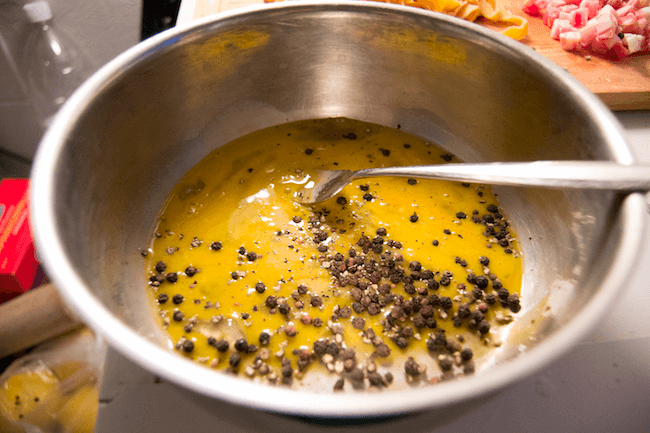 Make sure you have a good pepper mill…mix one egg, one yolk, cheese and pepper. 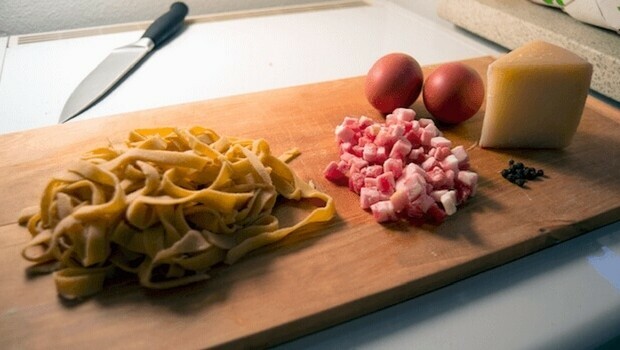 Now boil the tagliatelle for 1.5 minutes and then mix everything on top of the boiling water, using it as a double boiler so the eggs won’t scramble. 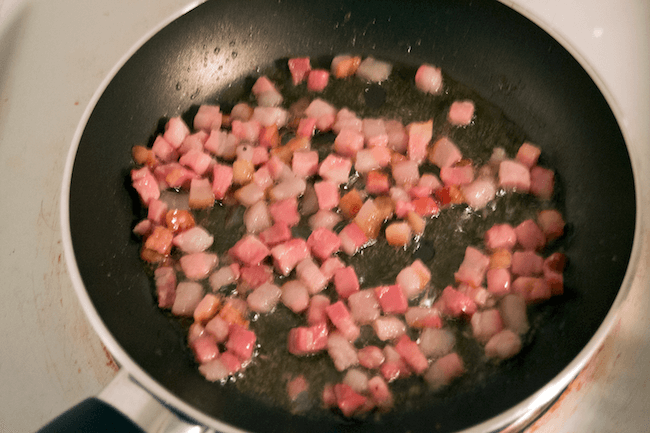 What you’ll get at the end of this carbonara recipe is this. A bit closer look …Yum, Yum… Have a nice meal!